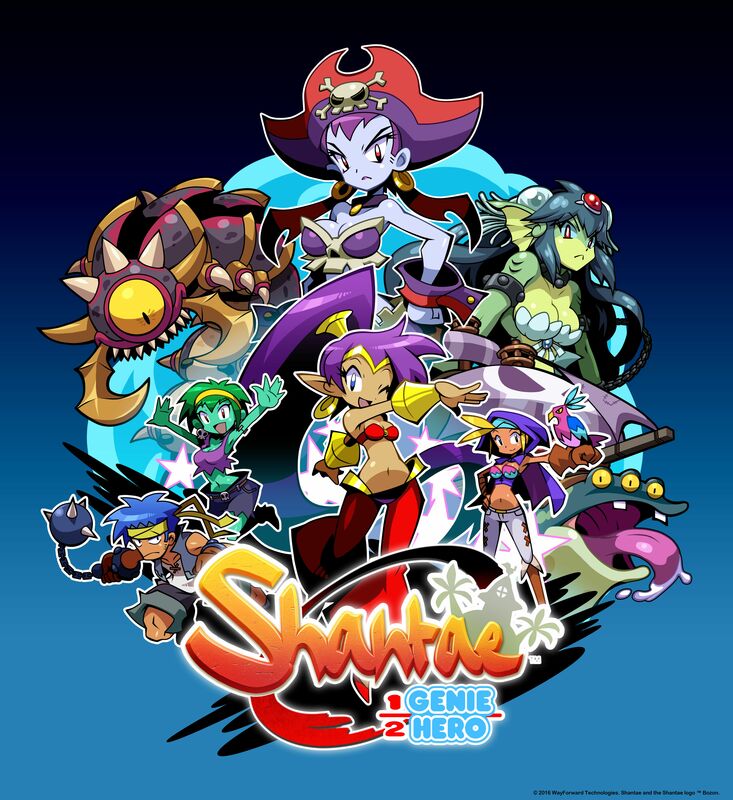 There’s nothing like ending a year on a high – the Kickstarter-funded Shantae: Half-Genie Hero (£15.99) hits Wii U this week, ending the console’s dry spell. 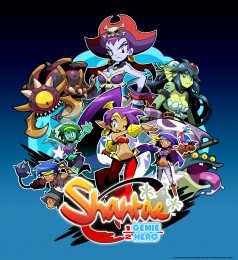 The Shantae series is one that many hold in high regard, showcasing Wayforward on top from. This is also the first in the series to launch in HD, re-releases notwithstanding. This colourful Metroidvania is bound to become an eShop classic. The Wii U also gets isometric puzzler Back to Bed (£8.99) – which received mixed reviews on PS4 – faux PC hacking sim RADIANTFLUX: HYPERFRACTAL (£2.99) and the meme filled auto-runner Zombie Brigade: No Brain No Gain (£4.49). Owners of Cube Life: Island Survival can grab Zombie Brigade for free, but only until Christmas day. More Minecraft: Wii U Edition DLC is due this week too. The 1st Birthday Skin Pack will set you back sweet nadda, while the Fallout Mash-up pack and Doctor Who Skins 1 & 2 Bundle are set to cost £4.79 each. It’s odd to see something Fallout related on Wii U. On 3DS there’s yet another new picross game, this time in the form of Picross e7 (£4.50). That’s joined by 2 Fast 4 Gnomz follow-up Geki Yaba Runner Deluxe (£4.49), Touch Battle Tank – Tag Combat (£3.99), side scrolling shooter SKYPEACE (89p) and the interactive tour guide Japanese Rail Sim 3D Monorail Trip to Okinawa (£12.99). 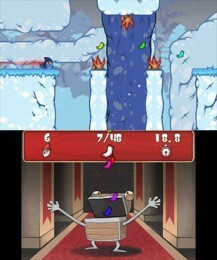 The 3DS also gets an Ice Station Z demo, plus three downloadable volumes of Shin Chan (£1.79 each). Vol 1 is free, so you may want to grab that to watch over the festive season. Speaking of Christmas, a cubic tonne of games are on offer over the holidays. Too many to list, in fact. On Wii U and 3DS almost all LEGO games are reduced, with prices starting at £17.49 for LEGO Jurassic World on Wii U and £14.99 for LEGO Star Wars: The Force Awakens on 3DS. 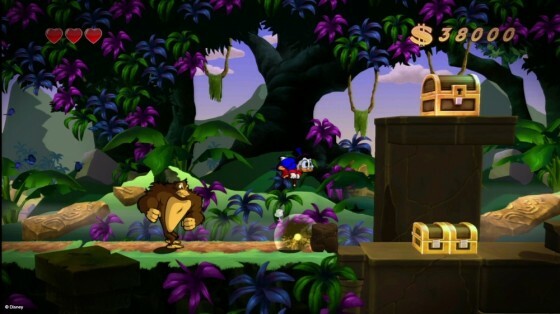 SteamWorld Dig drops to £1.39; SteamWorld Heist to £7.49 (on both Wii U and 3DS) while FAST Racing NEO falls to £7.33 on Wii U.
Capcom’s DuckTales: Remastered (£4.79), Dungeons & Dragons: Chronicles of Mystara (£3.95) and Resident Evil Revelations (£7.99) are also on offer on Wii U. Phoenix Wright: Ace Attorney Trilogy (£12.49), Mega Man Legacy Collection (£6.29) and Resident Evil Revelations (£7.49) meanwhile drop on 3DS, alongside a few others. Surprise! Some Nintendo DLC is deduced too. Mario Kart 8: Pack 1: The Legend of Zelda × Mario Kart 8 and Mario Kart 8: Pack 2: Animal Crossing x Mario Kart 8 are down to £5.25 each until 5th January, or you can grab both for £8.25. Then on 3DS Fire Emblem Fates map packs and missions are approx. half-price, while the Birthright, Conquest and Revelation add-ons (to the base game, we believe) can be had for £12.59 each. We’re also going to give Teyon’s 3DS remake of Steel Empire a mention as it’s down to £8.99 (was £14.39). As many Mega Drive owners will testify, this 2D shooter is an under-appreciated classic.